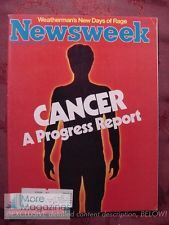 About 30 years ago Newsweek devoted an entire issue to the topic of Cancer. In the introduction to the issue they made the point that we will never see “a cure for cancer”, because, unlike many other diseases like heart, kidney, liver diseases and diabetes, cancer is actually a family of diseases. And the family is very diverse. While some cancers have known cures, others remain challenging. One important element toward developing a cure for a given type of cancer is to fully understand the conditions and processes that lead to its development, and that takes basic research. The kind that public and private universities do so well. Ivan Shen, my friend and co-worker who passed away almost four years ago, had stomach cancer (see “Yifan ‘Ivan’ Shen (1962–2010)”). Stomach cancer is difficult to cure, apparently because it is rarely noticed by the patient until in its advanced stages. That was the case with Ivan. According to Wikipedia, Helicobacter pylori infection is the main risk factor in 65 to 80% of stomach, or gastric cancers. It is believed that about half of the world’s population is currently infected by the h. pylori bacteria making it the most widespread infection in the world! Eighty-five percent of people infected with h. pylori have no symptoms. Those who do have symptoms are likely to develop peptic ulcers. Only about 2% of those infected are at risk of eventually developing stomach cancer. Two percent of half the world population is a huge number with elevated risk of developing cancer. All of these facts about h. pylori and its surprising link to peptic ulcers and stomach cancer have been discovered only since around 1982 when the bacterium was first identified by Dr. Barry Marshall and Dr. Robin Warren, two university professors doing research at the University of Western Australia, a public university. Doctors Marshall and Warren developed a simple, non-invasive and very reliable test for the presence of h. pylori in a patient’s stomach. Today one such test, called “BreathTek”, marketed in the U.S. and elsewhere by Otsuka, simply requires the patient to take a pill and then breath into a balloon. The captured breath is then tested with an Infrared Spectrophotometer. Stomach cancer is very difficult to cure once it reaches advanced stages, but to eliminate h. pylori from your body before it can cause cancer, all you need to do is take a course of very strong antibiotics. Retesting is recommended to confirm that the bacteria is no longer active. The discovery that peptic ulcers and stomach cancer are primarily caused by a micro-organism was revolutionary. The original hypothesis was originally met with ridicule and skepticism—until others confirmed the discovery. Even I still remember people being skeptical about it when the discovery made it into the news in the 1980s. Prior to that, everyone thought ulcers were caused by stress and eating acidic foods. I knew people who had ulcers back then. Ulcers were actually pretty common. But I haven’t heard of anyone having an ulcer in years. I assume that is thanks to this discovery. Doctors Marshall and Warren were awarded the Nobel Prize in Physiology in 2005 for their discovery of the bacterium Helicobacter pylori and its role in gastritis and peptic ulcer disease. Discoveries like those of Doctors Marshall and Warren require education, creativity, curiosity, persistence, courage, time and money. We all benefit from discoveries like these. How can we encourage more of them? Easy. Help fund cancer research.